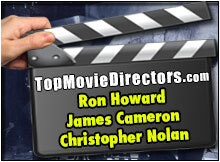 Ron Howard was born on March 1, 1954 in Duncan, Oklahoma. Ron is the son of actor/director Rance Howard and actress Jean Speegle Howard. Ron was in his first movie at 18 months, Frontier Women (1956). For years Howard played as Opie on TV's classic The Andy Griffith Show (1960-68). In 1962 Ron Howard played Winthrop Paroo in the classic The Music Man. Ron moved from young boy to teenager playing Richie Cunningham on Happy Days (1974-80). In 1971, Ron was a contestant on The Dating Game (he ended up choosing Bachelorette #2, Nola Green). He frequently casts father Rance Howard and brother Clint Howard in supporting roles. Howard cast both of his parents in Apollo 13 and Ron, himself, had a cameo in A Beautiful Mind. 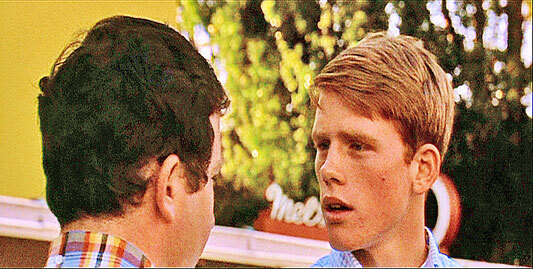 Ron Howard in American Graffiti (1973).